I thrilled to have over 200 followers and am celebrating with my first giveaway! 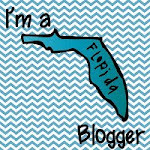 When I began blogging a few months ago, I was so nervous that no one would find my posts valuable! I appreciate all of your comments and feedback and have such a great time going through all of your wonderful blogs! Since most of my materials are free, I am going to give away a gift card for either Target, Barnes and Noble, or Amazon (the winner's choice)! !